There was an awkward moment just as our screening of Justice League was beginning. Listed among the film's producers was RatPac-Dune Entertainment, which is the label run by Brett Ratner, who has been accused of sexual harassment and misconduct. His name was also attached to the hugely successful Wonder Woman, but Warner Bros., like pretty much everybody in Hollywood, has been doing their best to distance themselves from him. 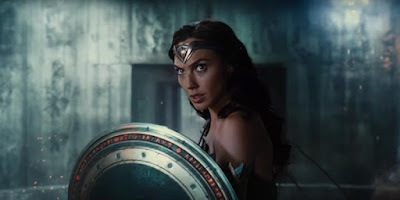 And that was rumored to go double for star Gal Gadot, who reportedly wouldn't sign on for a sequel unless she had assurances Ratner had nothing to do with it. So basically she got what she wanted, but it wasn't a decision that was really up to her. Fortunately, those in the position to do something felt the same way she did, and Gadot can back into the business of lassoing up bad guys as Wonder Woman. Wonder Woman 2 opens November 1st 2019, but you can see Gadot in Justice League this weekend.